Start with the Alps, a true gem of Europe, jagged peaks, alpine lakes and mind blowing vistas at every turn. Sheer awesomeness. The friendly folks in the countryside will greet you with fondue and raclettes. You'll appreciate the journey wearing Weekender's globally famous Travel Air Vest featuring 100% NyLite Nylon, a soft cotton-like fabric with UPF 50+ Sun Protection which provides broad spectrum coverage from both harmful UVA and UVB radiation. Its clever organizational design has compartments for all your travel essentials. 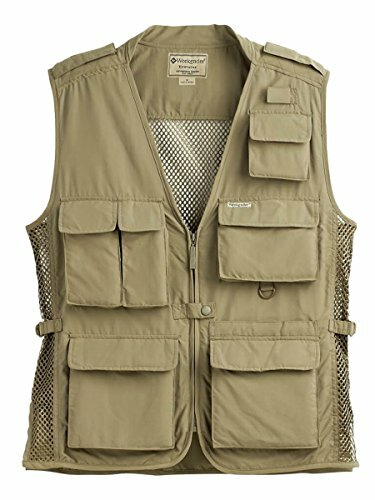 The Travel Air Vest is worn by world famous explorers, photographers and journalists and it's fade-resistant, wrinkle-resistant, lightweight (weighs less than .65lb), packable and so much more. Reach in to one of your twenty pockets, pull out your camera and take advantage of the many photo ops!